Tens of thousands of citizens have been infected by a plague of unknown origin. The city blocks surrounding Paul's Hospital, which houses most of the infected, has been quarantined. Casper was built on a coastal scrub facing the South Sea. It was marked by uneven terrain and native flora capable of surviving the high salinity atmosphere of the area. When approaching the port, it appears as if you are coming nearer to a city built up and along a mountain slope. That initially daunting incline, however, is revealed to be less steep the closer you get. Then, when approaching from the side opposite the port ( from the north ), a tall, tall cliff awaits ahead. Once at its edge, the city in all its splendor may be viewed below. Heading towards the port once inside the city means you are constantly walking downhill while when moving away from it means you are walking uphill. This can be a little difficult to get used to, and most people prefer to catch a ride when heading north instead. Transport, which is mostly mechanized, is a lucrative business in Casper because of this. As a result of the high cliff that awaits when traveling to Casper from the north, most people tend to follow Coconino creek instead, which flows downhill the closer it gets to the city, and it does so on a much more forgiving incline. Casper has a population of approximately 7.1 million as of 24 AO. North: ~70 miles to the Blue Hills. ~870 miles to Dougton. North-East: ~700 miles to Ignatz. The distance is staggering on foot, manageable on horse, pleasant by Lightning Rail and near instantaneous by Warp Gate. East: ~450 miles to the Moonwood. South-East: ~870 miles, over some sea and much more land, to Palgard. South: ~1100 miles to Ursa Madeum. West: ~900 miles to Hills of Noddendoddy. North-West: ~860 miles to Oliver Scudder's Woods. ~1000 miles to Cory Scudder's Woods. ~1700 miles to Weland. Like many of the cities throughout Terrenus, the homes are built by geomancer engineers. They vary in color depending on the owners, and are sometimes shelled with thin ceramic layers for aesthetics. Because the city was built on a slope, there is never an instance during which the South Sea can't be seen, at least when standing in the open. Furthermore, it doesn't take very long for it to become clear that both fishing and trade are the city's economic support columns. It is said that the best seafood in all of Terrenus can be sampled in Casper, so there are restaurants aplenty, some very eccentric. The vast market areas come to life at sunrise and boil with activity until sunset. Another aspect that helps the city distinguish itself is the abundance of improvised vehicles, often employed by the fishing enterprises who are mostly responsible for building them as well, usually out of junked ships that ran on magi tech. Now, commonfolk, which sometimes even includes young adults, stimulate their finances by working part time transporting people, or merchandise, from place to place. These people have been among the most ardent opponents of the Golden Coalition and its endeavor to ban unlicensed magic, and have kept their jobs on the technicality that they are not using unlicensed magic, but are instead merely operating licensed magical technology. It can get pretty cold but it never snows. During the winter season, Casper is known to endure some long rain spells, and has also fallen victim to hurricane floods. Throughout the years, the city's response to incoming bad weather has been thoroughly refined since the hurricane that hit in 2 A.O. and killed 119 people, but it hasn't been tested to its fullest extent yet. While the city's vast trading enterprise has imported an unending variety of items from other locations, the salt resistant flora that was once native to the area remains the most popular. 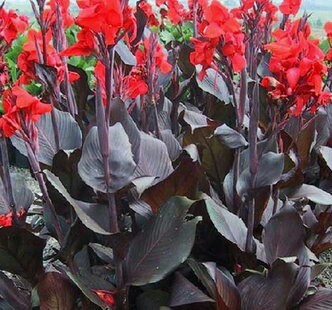 Among the most common household plants is the Phoenix Ash Canna. This precocious plant is loved for its contrasting palate of dark ash leaves and stem that gives birth to a lurid burst of phoenix feathers. Even from ashes, something of utmost beauty may emerge. The same applies to everyday living. When life is dreary, remain steadfast, for that melancholy may soon become a gateway to something magnificent. Source: Licensed for noncommercial reuse. 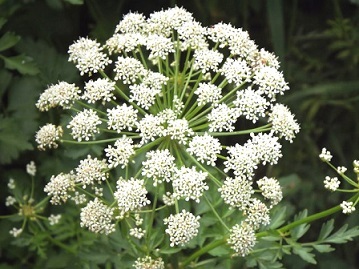 The Alabaster Bubble Flock is the city's most popular herb spice, used in almost every restaurant to flavor fish in certain dishes. This complex herb does not blend well with others as it is, itself, a blend of flavors that approximate basil, oregano, lemon zest and garlic. Celestial Tadpoles, during Casper's earliest days, were nowhere to be found. However, as the city prospered and magi technology's influence grew, lighting up the streets and its buildings, these creatures began to show up near the shore each night. They are attracted to strong sources of light. When near the surface of the water, the moon's shine reflects off of their reflective hides, creating pretty blue apparitions. Culturally diverse with a predominance of humans, gnomes, halflings, and dwarves. A number of aquatic races also populate Casper including Merfolk, Crab-kin, and Qruagars (some type of humanoid sea cucumber or something). Occasionally a Siren can be spotted. Activity is the culture in Casper. Because it is Terrenus' primary port and because it also hosts a vast trading enterprise, it appears as though the city is in a constant motion. The people have almost developed a sixth sense concerning travel while remaining safe. That, and everyone is bent on proving to be the best haggler Valucre has ever seen. Many ships have docked in Casper, and many have never set sail again. Over the years, a veritable treasure trove of junked aquatic vessels have ended up abandoned in junkyards This trend has continued, but the pace has become considerably slower since 7 A.O., when the fishing/trading enterprises decided the incline heading up into the residential sector of the city was in need of conquering. They began using junked ships and their magi technology to build transports, and hired anybody in town who had the motor functions to drive them. Above is one example of the designs commonly seen. The economy is massive, fueled by the city's stature as a port town and its heavily active trading enterprise. The Paul Phenix Aviary: A variety of bird life can be found inside Paul's aviary, including the endangered and some stunning examples of the extinct. There is no violence in the aviary, as it is also a Sanctuary. Paul's private hospital: As a phoenix Paul commands vast and intimate knowledge of the healing arts. As a psychopomp Paul is gifted with certain abilities of discretion that aid in diagnosis, and that also allows him to act the role of medium for a grieving family. Sword and Board Tavern & Inn: A player owned and controlled tavern and inn. Bitter Sea Trade Organization: A privately owned trading organization. Currently under investigation under suspicious of negotiations with pirates. The Dragons Iris Art Museum: A museum full of both outwardly beautiful artwork as well as introspective artwork. Ventrix Industries: A medical suply chain that has, in recent times, shifted its agenda towards the creation of injectable enchantments. Wildemead Lighthouse: Built on the port, is considered a landmark and a monument, and is named after one of the men who built it. The most common form of recreational games in the city are actually tabletop. Tabletop games from all over, including Rosinder and sometimes even Renovatio, have made their ways into the hands of the people of Casper. Sometimes these games are quaintly simplistic, others demand sharpness of mind, and others yet cater to those who prefer their recreation to be flashier, providing holograms of evil ogre hordes waging war on holographic elves. Valvale Garden is a popular park, and a location commonly visited by couples. Rumor has it that it was created by the local Peacekeeper, but none know for sure. The flora found here is exclusive, meaning it can be found nowhere else. Considering that the garden is obviously artificial, the shapes and colors of the foliage found here are quite stunning in their seemingly impossible beauty. However, when these plants are plucked, they vanish into particles of mana that dissipate too quickly to be harvested and examined. The people and the government of the city strongly adhere to the laws and beliefs carried by Terrenus as a whole. Members of the Gaian Clergy are greatly respected and Gaia, bless her beating heart, is beloved. Paul's focus on public health results in the population of Casper being healthier than the national average, getting sicker fewer times a year on average and also suffering less frequently from major diseases as a population. Paul's focus on social welfare programs means higher taxes on the rich, although there is still an appreciable gap between the aristocrats and the proletariat, but also means that there is a lower than average homeless population, fewer at-risk youths and communities, and even a lower crime rate (at least outside of the Port sector; there the crime rate is nearly triple). Regent: A phoenix psychopomp named Paul. He wears a monocole. 20,000 local police: The local police are a structured militia, for all intents and purposes. Since they are made up primarily of the citizens, as opposed to having been assigned by the military, the police are more likely to be corrupt. 30,000 Terran military: These men and women come from differing schools of the Terran Military. Some are snipers, others are elemental knights, and some operate military underwater vessels in and around the port, keeping it safe. Specialty training: Swordsmanship, Anti-piracy, Deep Sea Diving. Education in Casper is top notch, but there seems to be a heavy interest in business. There's always someone trying to break into the corporate world and make a splash. Furthermore, there is a common misconception concerning Terrenus' primary port town. Because many people throughout the city are seen driving improvised vehicles composed of junked magi tech, it is widely believed that the people here are expert magi tech engineers. Such is not the case. Commonfolk who use it to get around have a tendency to tell a magi tech engine apart from a magi tech systems modulator, but are often hard pressed to put them together themselves. Zinezin Tiranga: Infamous pirate said to have traveled all over the massive oceans of Valucre and to have visited uncharted lands. Expert navigator and master pilot in seaship, airship, and submarine. Paul the Phoenix Psychopomp: Immortal phoenix, regent, and powerful medium. Maira Xanathi: Major in the Terrenus Military and civil engineer. In the land of the blind: Justice infiltrates the Caliban Shipping Company and initiates a hostile takeover of the organization in advance of setting up a meet-n-greet with a merchant-prince in Alterion responsible for a majority of the slave trafficking Jericho has upset. A great plague: Necromancer Lilith Reiter and her contracted follower, a werewolf named Ziva, spread an incredibly contagious and potent plague refined by an S-class artifact around the city of Casper. Within days tens of thousands will have been infected with the mysterious disease, thousands already dead at its hands. Praise the bridge: Cadmium, Nur, and Barrett, three soldiers belonging to the Terran military, are on mission in Casper. They have been sent there to secure a bridge which has been overrun by bugbears demanding a tool for passage. After a reasonable amount of violence, they secure the bridge. The hills are alive: Percival, Zero, and Arassiel set out for the Blue Hills to protect the last remaining colony of Giant Eagles from rampant Gargoyles. They succeed in bringing back one of the Giant Eagles to live in Paul's aviary as well as alert Paul to the fact that something unknown and dangerous has killed many Gargoyles. FIST investigation of corpse train : Detective Hawk and Officer Xanathi investigate the recently defeated Corpse Train to find a link between the train and the Tullin brothers. The evidence they found could not confirm the Brothers ran the train but irrefutably proved that they were involved in its creation. They left fires which burned in the shape of a Hawk, a direct call to the detective. A warrant is out for the Brothers' arrest. Landfall: Using a stolen Genesar ferry to sneak into Casper, Lucian finds a Gaian Temple within the city and massacres the church staff, kidnapping a priestess with the help of his associate Jack "Black" Hayter while escaping city law enforcement. Lucian then extorts the priestess into signing a contract and becoming a Lord of Purgatory, offering Dietricha Crow the same deal before leaving the city in a state of political unrest with 3 new Lords. Is that poop on the deck: The Full Deck, a casino boat and more, is investigated by the Terrenus military for gang affiliations. No affiliation is discovered. Through the course of the investigation the Full Deck was attacked. Hundreds died and many were injured. The Abandoned House: Two adventurers (Elenwen and Flint) exorcise a a haunted house. Shortly after rumors circulated of disappearances tied to a cult with gruesome skull-masks and that perform wicked rituals in the un-haunted house. A number of shanty towns have cropped up around the coast. These shanty towns sometimes act as temporary stations when the port proper is backed up, contain many hostels for refugees, and have occasionally been used quarantine zones. Life is squalid in the shanty town, but it is not impossible to find work in the city and rise through the ranks. Let's Get Dangerous: All stockholders and high ranking officials of the BSTO have gone missing and stock options are made available to the public. OiC, a relatively unknown company, has bought up all available shares and assimilated the BTSO. Can't Get No Satisfaction: A Corpse Train is seen making its rounds near casper. Hundreds are abducted and die to fuel this horrific machine. It tears up the earth as it exits the outskirts of the city, scarring the land. The Petrified Paladin: A stone statue fashioned in the likeness of a paladin in the town center came to life and descended from his pedestal during the time of Eternal Night. Shortly thereafter the sun returned. No one has seen or heard from the paladin again but there are many rumors that suggest his involvement. 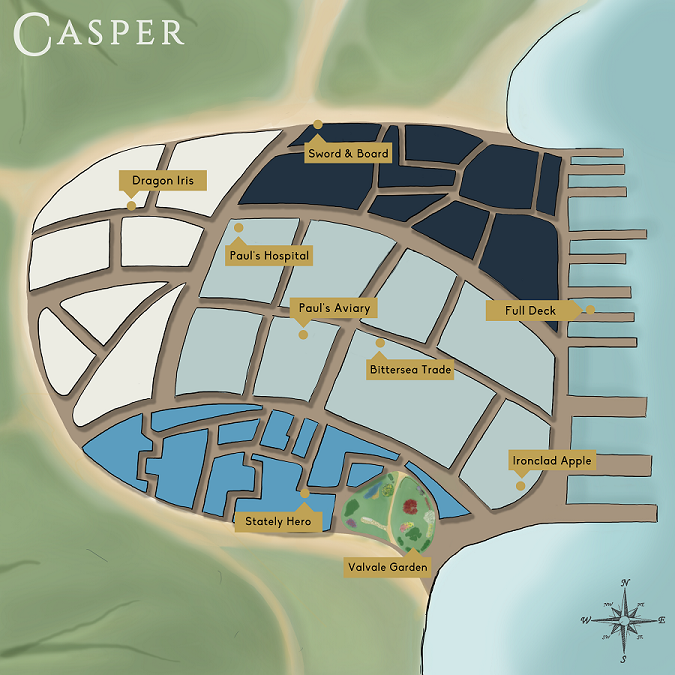 Casper is one of two major capital cities in Terrenus, and also the major of two port cities in Terrenus, making it a hive of activity. 78% of all sea-trading happens here. Casper's high and diverse activity naturally attracts the cunning and unscrupulous. A large part, though not yet a majority, of the population is made up of legitimate if crooked business men and privateers (both official and unlicensed). The Siren menace has left its indelible stamp on the men and women of Casper, despite being mostly wiped out during the Terran counter-attacks. On the one hand, remnants of the Siren race can be seen mingling in Casper to this very day. There are placid factions made up of those that realized attacking would only further dwindle their population, as well those more enlightened members that were never interested in assaulting Terrenus to begin with. These factions have managed to cultivate an amiable reputation with the natives but are treated with marked hostility outside of city limits. On the other hand Terrenus's restraint and grace in employing defenses, counter-attacks, offenses and even the negotiations that lead to the End-Game has attracted positive attention from other aquatic civilizations that had, until recently in Terran history, been completely unknown.